It's the song that's stuck in my head right now + it's true. Happy Friday! Happy Friday at 2:46am. An hour that should not exist for someone who has a baby getting up in 4 hours. I guess I just have a problem falling asleep to the sound of a billion postpartum hairs detaching themselves from my head and running frantically away from me, screaming as they go. It's all so dramatic at this hour. But really Tyson, get your bum home so I can go to sleep you party animal. he is so cute!!!!!! hope you did get some sleep! he s the cutest thing ever! Love these pictures. Too cute. Omg This just PICTURE PERFECT. cutie pie, yes he is! Are you sure your hair isn't running away from E trying to munch them? He is so cute! So much love between the two of you. I read your post at exactly 2:47am (central time)! 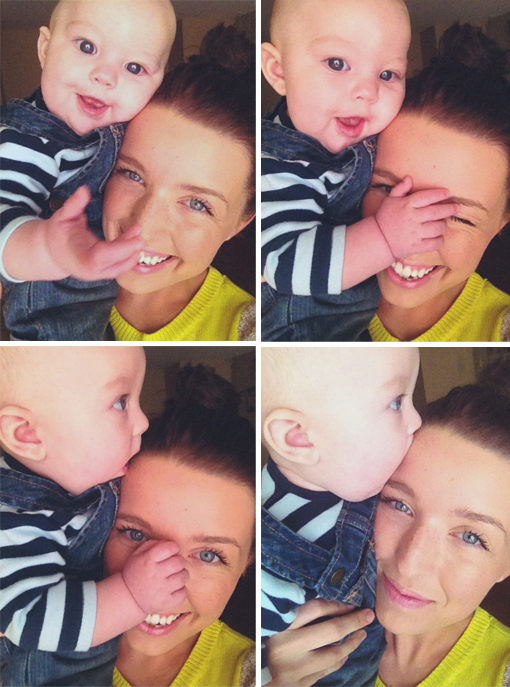 Super cute pics of you and your little man, as usual! Ugh...my hair has been breaking and falling out post-babies too! It drives me crazy when I take a shower and hair is literally EVERYwhere. OMYGOSH. SAME HERE! What is up with this post pardum hair loss?! Every day I think to myself.. "Better enjoy this, today is my last day not being bald!!!!!" Our carpet is disgusting.. our shower is nasty (not even gonna mention the drain) I feel like I empty my brush between each brush! SICK! and I am up at 3:26 and very grumpy. bah. I just adore that last photo of you and him! So cute! Babies, and their I'll-put-anything-in-my-mouth minds.. Too funny. On another note, you and your dark hair and NOT red lips and minimal make up look SO young in these pictures!!! oh the overalls ... too much. too much! love it. So here I am, blogging and spending time getting some precious cuddles. Those pics of you two are the sweetest! Tha baby is becoming the sweetest thing ever - after my own boy, of course! Your baby boy is gorgeous! beautiful pics!! your baby is gorgeous!! Oh gosh! I'm tired for you! Aww...these pictures are great! He is beginning to look more and more like you! Have a happy weekend! Get some sleep...no worries about those little stinkin' hairs, you are so gorgeous! You are so rediculously gorgeous! Mind doing a post on what your skin care routine is? Your baby is a doll! So precious. I think I just exploded. And can I just say: you are gorgeous, and I am jealous? Top right just killed me with its cuteness. and I always wondered...how long does the hair-falling-out phase last after giving birth? Haha, love the one of Everett eating your head. SO CUTE! my baby is now 10 months old and I feel like my body doesn't even know how to sleep anymore! awww the pictures are so adorable! This makes my heart sing a little. So stinkin cute! His overalls are so darling. um, that pic of Ever hoovering your face might be the best thing ever. Sorry, but I am getting so much joy out of these pictures of your sleepless night! hope that man of yours comes home so you can go off duty! Oh my goodness, he is too much. I can't imagine having a hubby that works that late (I assume/hope he's at work). I'll think twice about being grumpy next time my husband gets in at 7:30 pm from a business trip. I'm 8 months out and I now have an awesome 1-inch fringe around my entire face, as well as sticking up from my part. Just wait! Adorable pics, and the hair thing...yah, that part stinks doesn't it. These pictures just made my day. His expressions are priceless! oh man Sydney, this is just the cutest!! I didn't think you and Everett could get any cuter as momma and baby, and then you go and do this! SO adorable! haha so dramatic! i just love you and your little baby. He is too cute--and if it helps any, you don't look like you're running low on sleep. Your skin is gorgeous! Oh hope you get sleep asap!! I can totally relate to the hair issue! My hair was thin before my two babies, now it is oh so wonderfully MORE thin. Oh well, that's why kids are cute, right?? !Love the blog and you honesty in all you write. Staying home with babies is hard! I have been home for four years now and I am still figuring it all out. Gotta love the whole "stay in my pajamas all day sometimes because I can" moments, though. What an adorable baby you have! Those little baby kisses sure do melt my heart! Monday you can fall apart. Tuesday, Wednesday break my heart. Thursday doesn't even start. It's Friday I'm in love! I just sang that at the top of my lungs while writing it out. That felt great. Sorry about your hair. Those pink and blue mod wigs that Katy Perry wears could always be an option if it gets too bad. Put a pair of glasses on that boy's head and you've got yourself a baby Tyson. Just gorgeous!! Adorable pictures momma. right now your blog has 12345 follower! Take a picture girl that is awesome! He looks so much like Tyson in the pic in the top left corner! :) Sigh* it must be so extra wonderful to have a baby that looks just like your husband! I'm getting married in less than a month and your blog makes me even more excited to become a mom. I will explode with butterflies if I have a son or daughter who looks just like my future husband. "got your nose mom"!...and here's a raspberry too cuz I luv you. hes all over mama! so cute! oh gosh, trying to fall asleep without the mister is definitely hard. especially when they go on business trips. OMG! I'm losing so much hair since having my baby! Ah yes, the dreaded gobs of hair that seem to fall out endlessly. I am fifteen months post-partum and they finally stopped falling out when my babe was around ten months old, I think... The good news is that it does grow back. I literally had super thinned out spots above my temples. It was so noticeable when I pulled my hair back, so I cut it all off into a short bob. I adored it for a while, but now it's at an awkward growing out length. I truly envy your long locks and I assure you that it's not noticeable at all that you're losing your hair (at least in your photos). I still have insecurities about my hair, even though my family tells me it still looks full and lustrous... we know the difference and it does seem huge.... it's like getting used to a new head of hair. Great Picture, Keep up the good work. Okay serriooussslyyy. 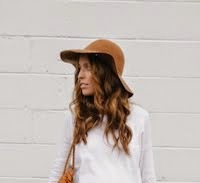 I just came across your blog and you are the cutest thing ever! I love your A&A and all your stunning pictures! Adorable!! Love your blog!!! i can never fall asleep when my husband if he's out of town or just out late with the boys. i don't get it. i hope you didn't go to bed too late! Before I had a crazy little man of my own I swore I would never put my children in overalls. Having a boy definitely changed that! Everett is adorbs in his little overalls!!!! I don't know why but I just can't stop looking at your blog ! I look at it every day ! You really inspire me ! girlfriend, your blog makes me so happeh. oooh how lovely you are! Such sweet pictures! <3 jb. Um YES. About the losing of every hair on one's head- we're 4 months post party's over here and I'm wondering if I'll have hair left. Maybe I can channel Demi Moore and go with a shaved head? You know- the whole "shave it if you don't have it" philosophy. It works for bald men...just saying. These pics are so adorable and I always love your comments - hysterical Sydney! Love your way of phrasing things, LOL! !